Families for Orphans: Are you happy today! Enjoy the jubilation of singers from New Hope for Children orphanage! Families for Orphans provides information about orphans, orphan ministry, and adoptions. Our goal is to help orphans get into families... and to provide love and hope for children who do not have a family. Are you happy today! 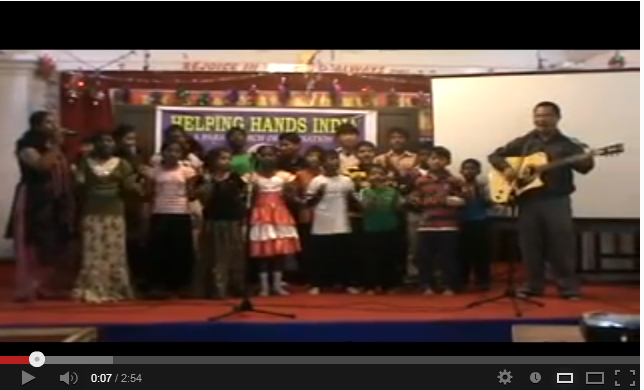 Enjoy the jubilation of singers from New Hope for Children orphanage! We are greatly blessed to experience orphans ministering to other children! In addition to looking after the children in four orphanages, Pastor George and his wife Jyothi conduct church camps for children. If you are not already happy today, you will be after you view this video of the children at New Hope Orphanage in Bangalore singing at one the children's camps. Can't adopt Russian orphan? Why not “adopt” an entire orphanage? Will you consider to help us take the Good Word to Russians orphans who have no family? Please join with us today! How much does adoption cost? Which country in the world has the highest percentage of orphans? Should the adopted child be parented differently?